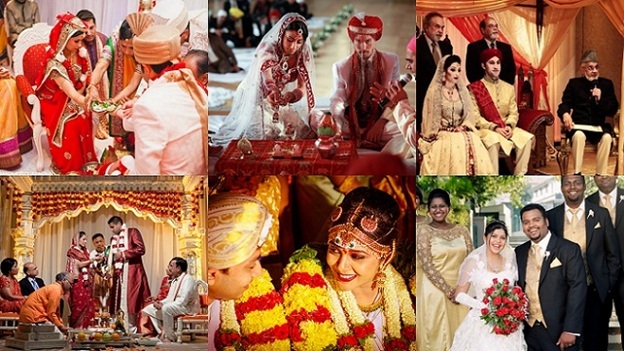 When it comes to plan a desi wedding, all Indian brides begin with trendy and creative ideas. But it is not necessary to make a huge gathering of guests at your wedding. Being a bride, if you are planning to organize a small wedding then it can be a great and exclusive idea. If you want to get married in a different place, city or country then your hometown. It automatically reduces the number of people. Planning a destination wedding is a great idea because everyone expects it to be small celebration. It is too harsh to hear but a lot of people participate in wedding events just because these are community celebrations. If you don’t invite such people, they will not come simply. You can also host a small wedding at your home and it is a great idea to invite limited people in the wedding. Except this, getting married in your home makes you feel amazing. It’s a great feeling to have small wedding ceremony in which you are surrounded by close friends and family members. It gives you an intimate feeling without offending anyone. Many couples implement this idea and plan a kid’s free wedding. It’s good somehow, because children creates annoying situations and disrupts ceremony. They even won’t enjoy the food and wedding as well. Cutting kids from guest list makes your event fine and people will understand it. Most importantly develop a policy like, ‘if I don’t know them, they don’t get invited’, it is essential, if you are planning to organize a small wedding. You will automatically left with close friends and family.